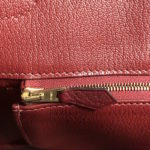 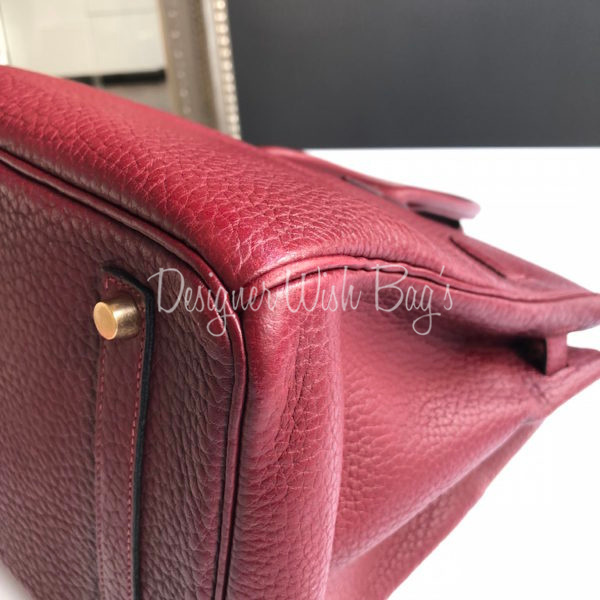 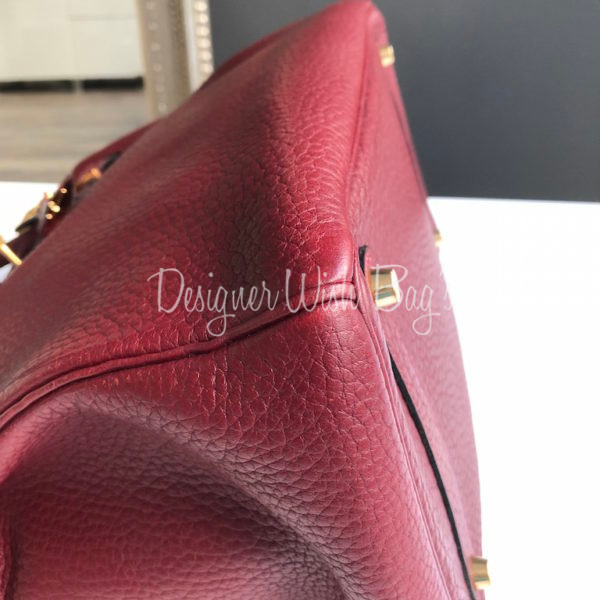 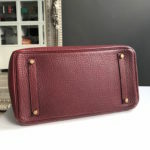 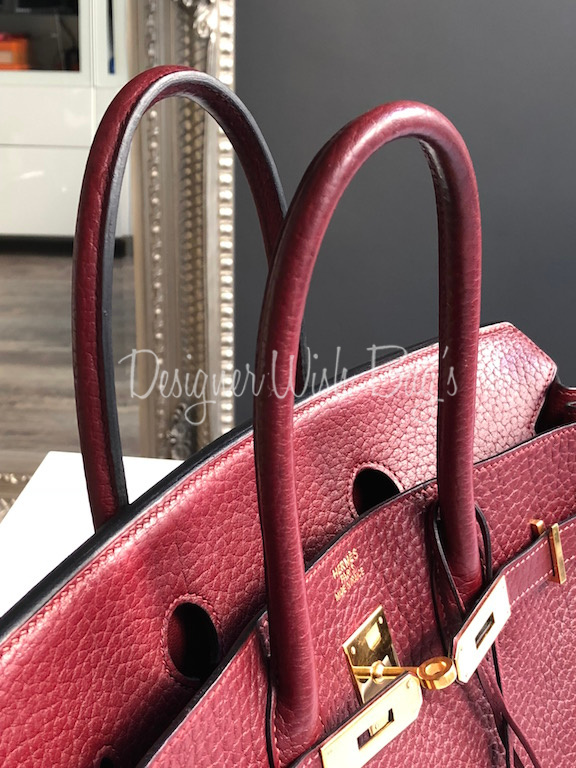 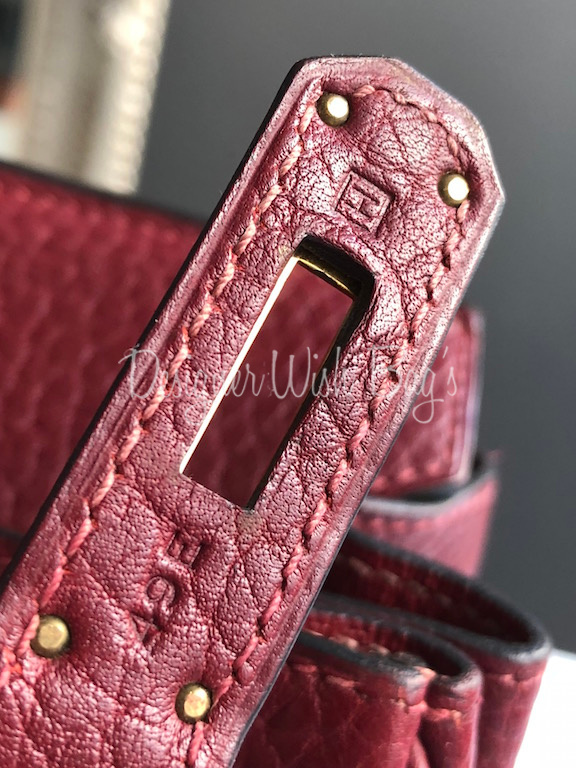 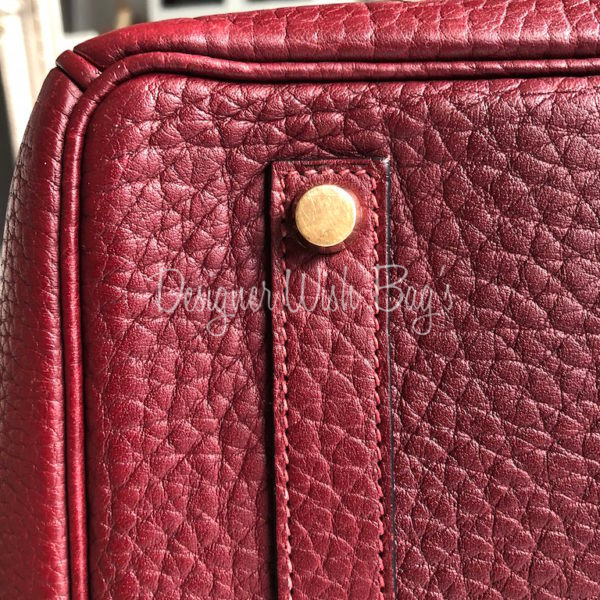 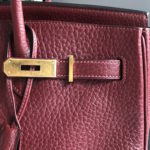 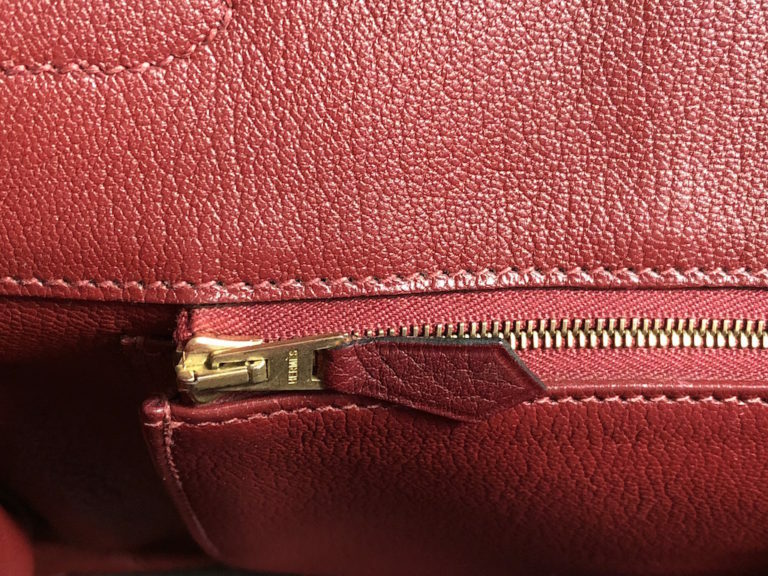 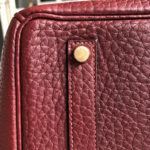 Stunning Rouge Hermès colour with gold hardware. 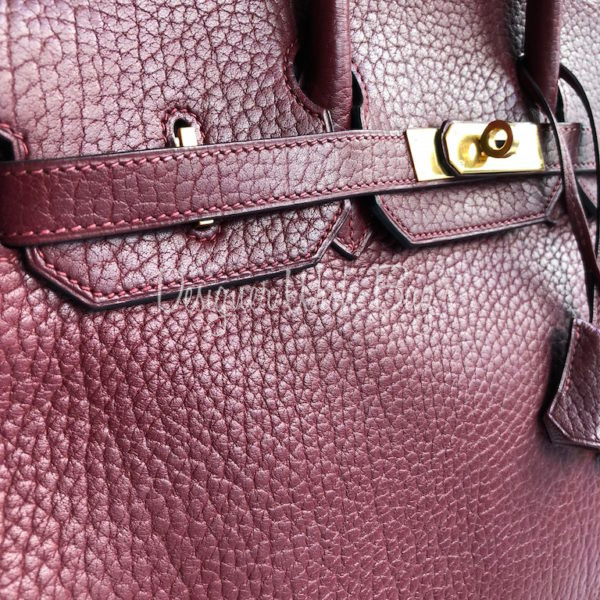 This is a very deep red, almost burgundy. 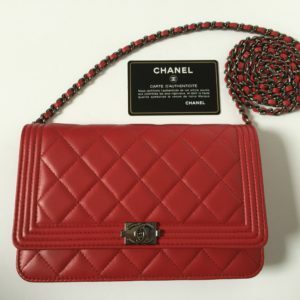 Very beautiful, elegant and timeless! 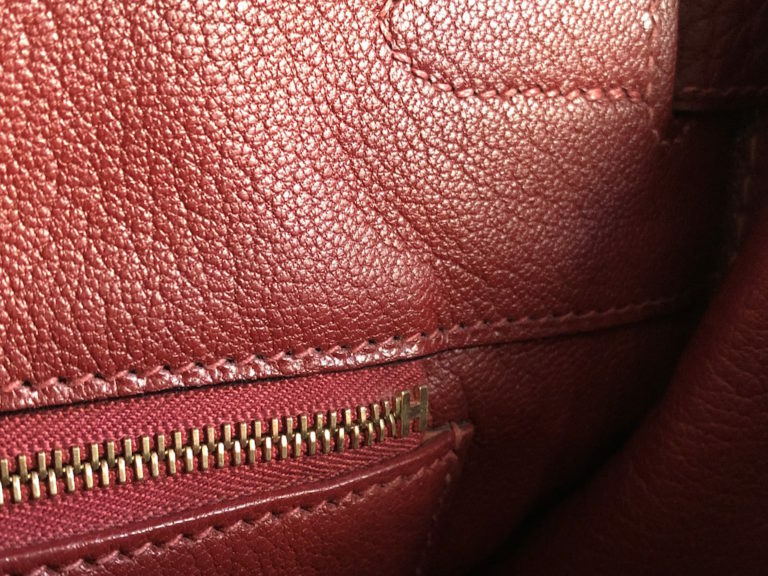 Crafted with the strong Fjord leather. 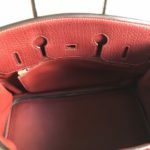 This leather is very similar to Togo but the grains are a bit bigger. 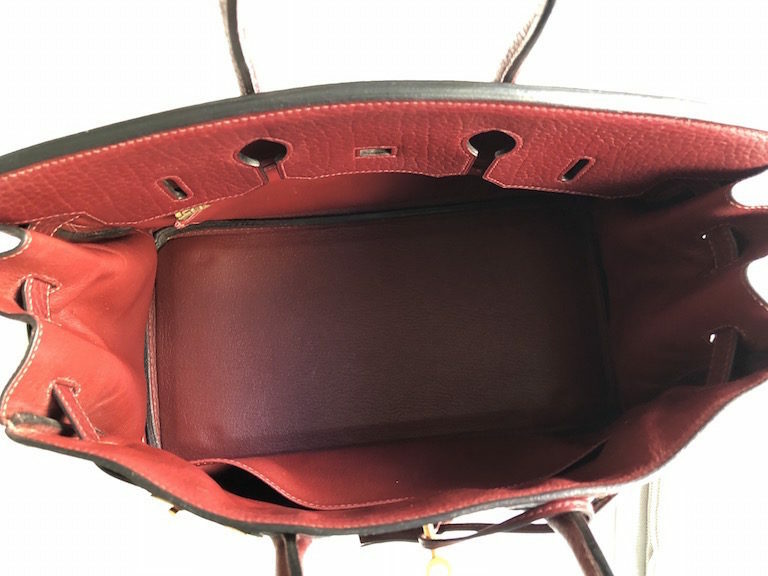 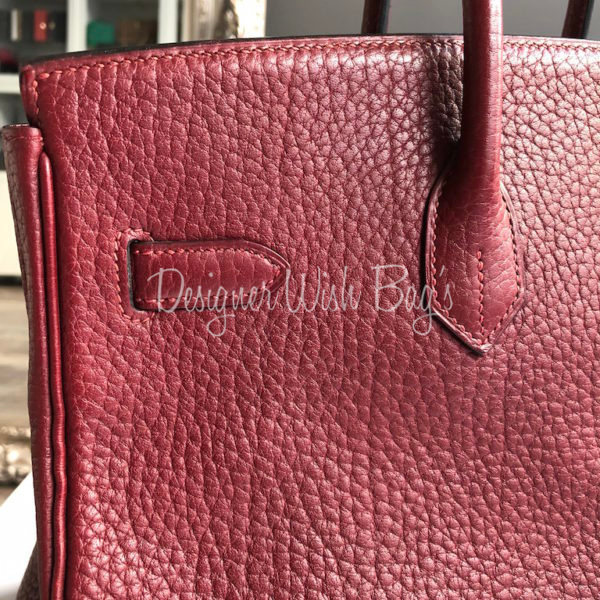 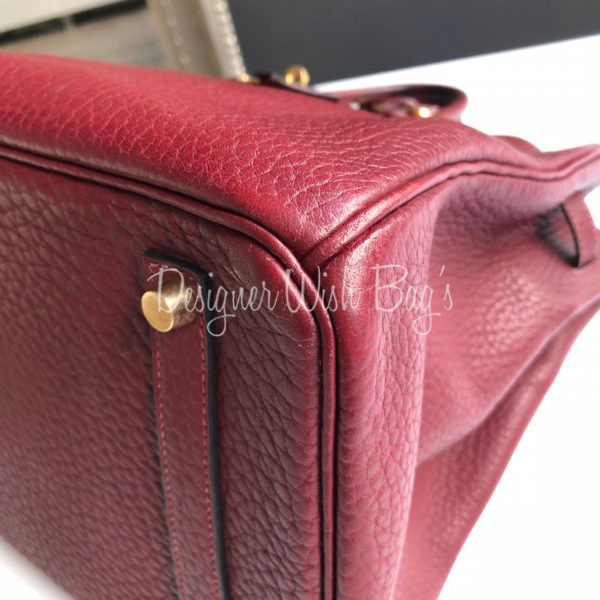 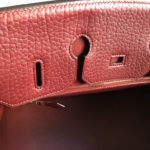 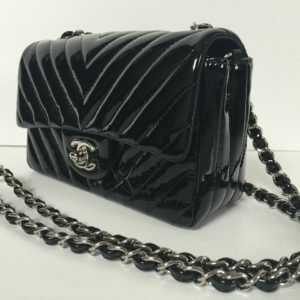 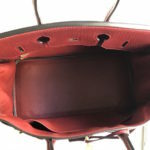 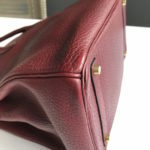 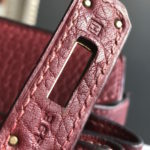 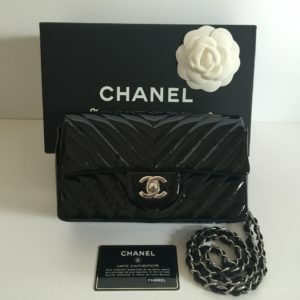 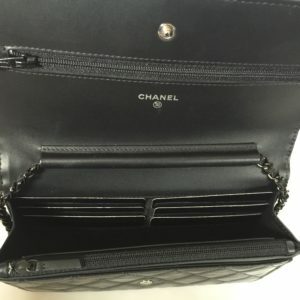 This leather is thicker than Togo what keep the beautiful structure of the bag for life. 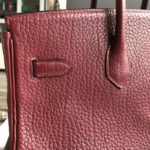 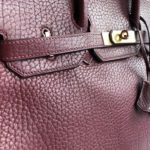 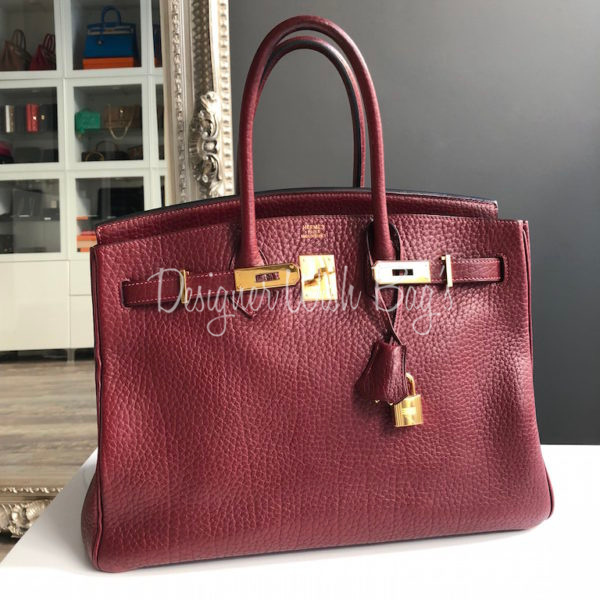 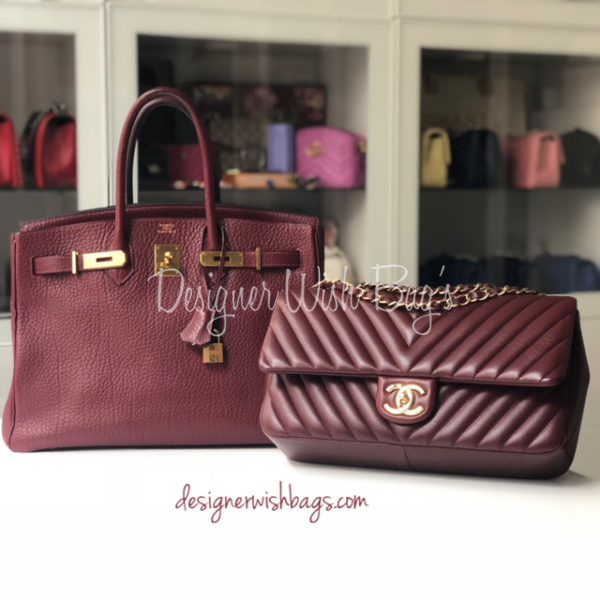 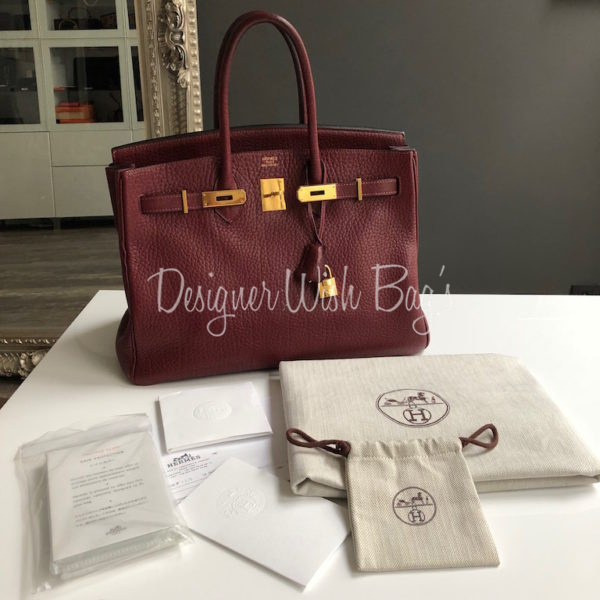 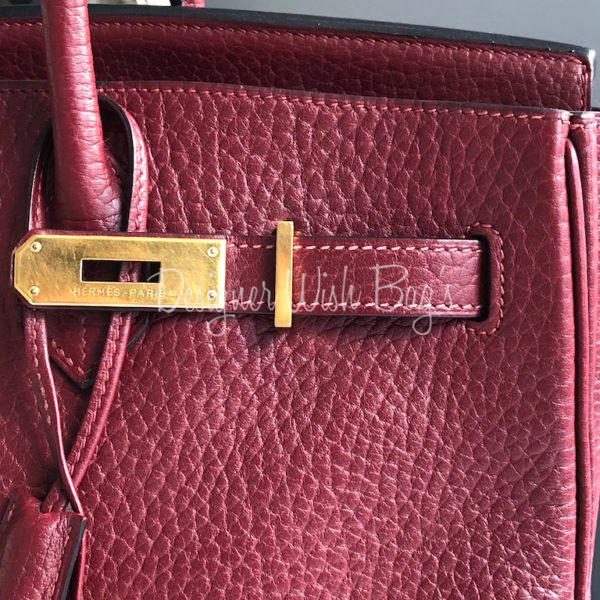 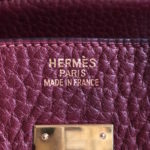 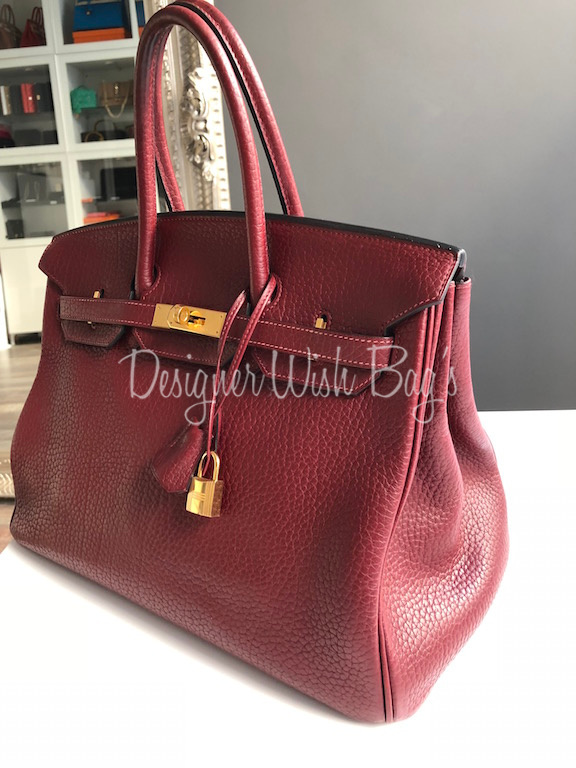 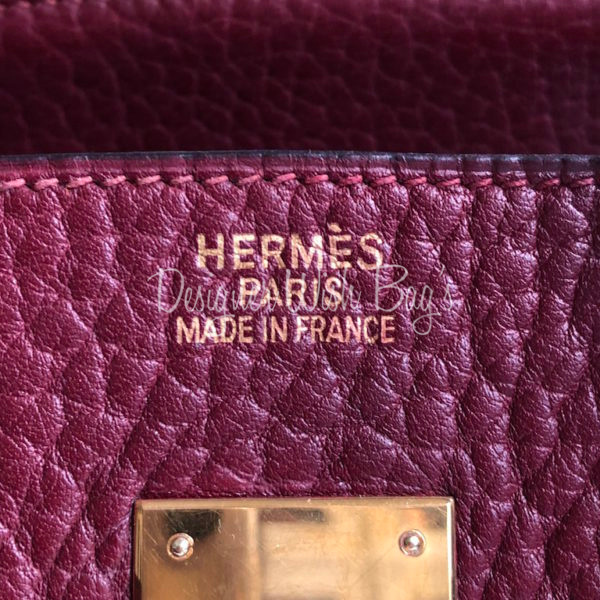 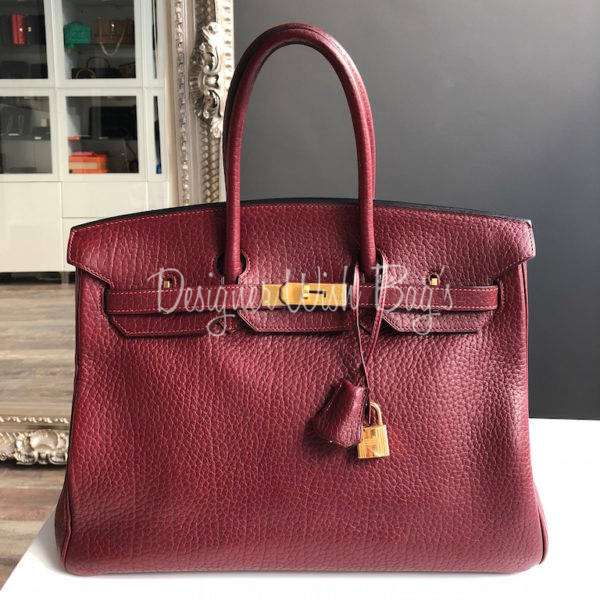 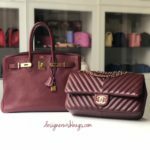 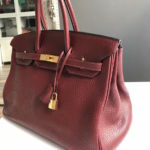 This stunning Birkin from 2004 (Blind Stamp H on a square) is overall in Excellent condition!! 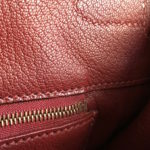 There are no marks or stains on the leather. 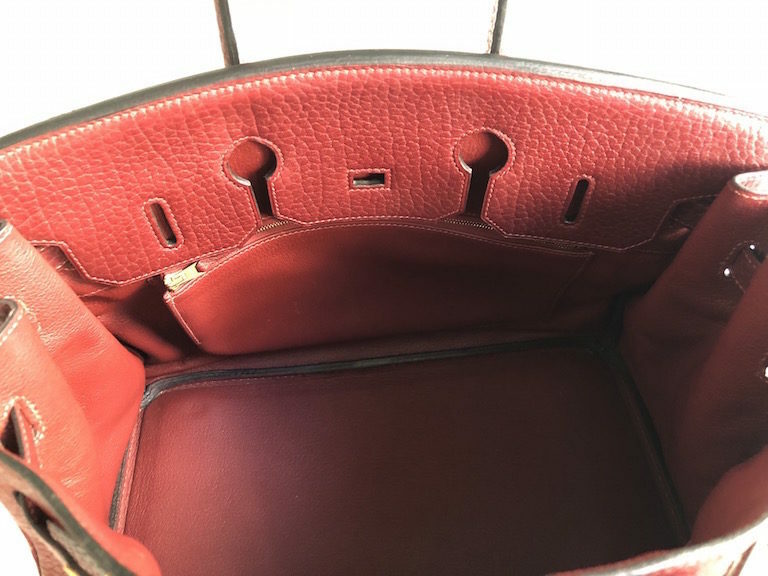 Inside is absolutely clean. 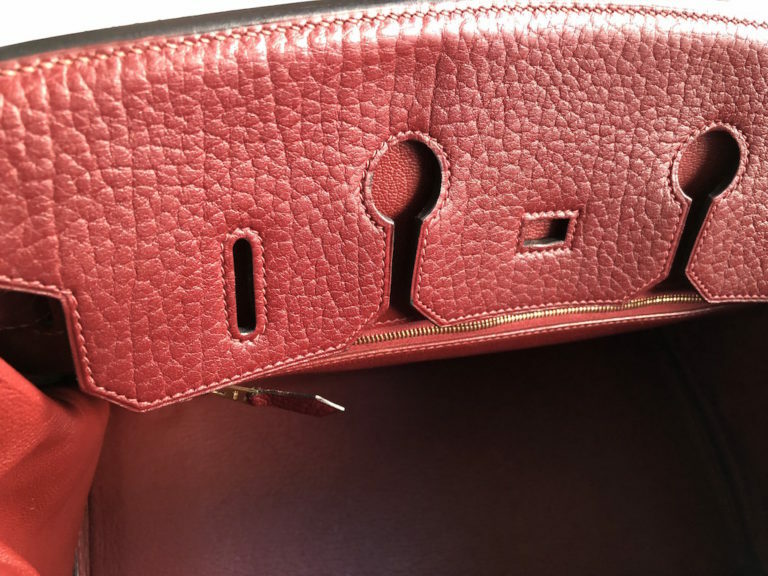 The only sign of wear are micro scratches on the hardware. 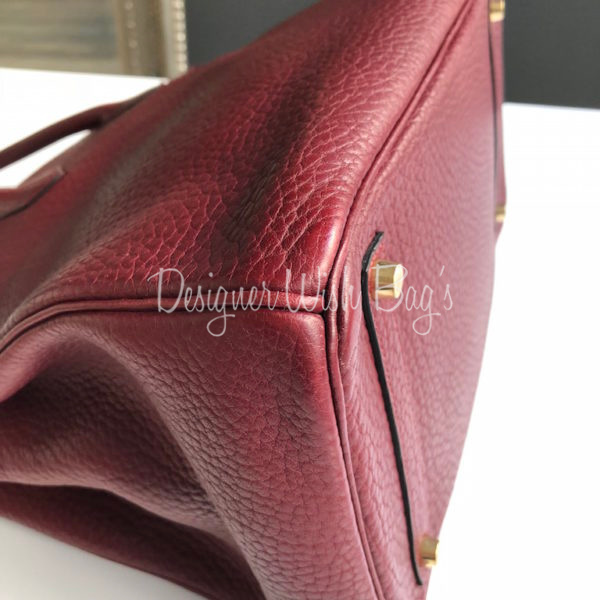 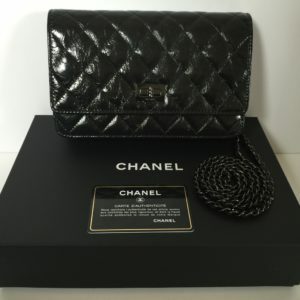 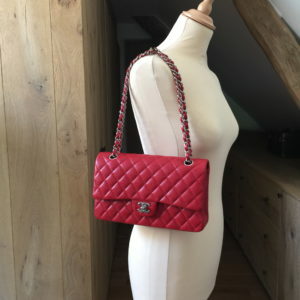 No smells or odors, the bag delicious leather.